COLUMBIA, MO (WAFB) - No. 8 LSU came out on top of a slugfest against Missouri in the first game of a weekend series in Columbia, MO. LSU (24-11, 9-4 SEC) pulled out the 12-11 win over Missouri (23-12-1, 5-7-1 SEC) in 10 innings. Zack Hess started the game for LSU, but left with an injury after facing just two batters. He was replaced by Ma’Khail Hilliard, who allowed six runs on seven hits in 4.1 innings of work. He struck out five batters and walked three others. Todd Peterson got the win and improved to 3-2 on the season. Devin Fontenot picked up his third save of the year. LSU jumped out to a 3-0 lead in the top of the first inning, but saw that disappear as Missouri put up six runs in the bottom of the inning. Two of Missouri’s runs came on wild pitches. After a scoreless second inning, LSU exploded for another five runs in the top of the third. A single by Daniel Cabrera sent Zach Watson home. Then, a double by Brandt Broussard scored Antoine Duplantis and Chris Reid. Another double, this one by Cade Beloso, sent both Cabrera and Broussard home. LSU had another multi-run inning in the fourth. 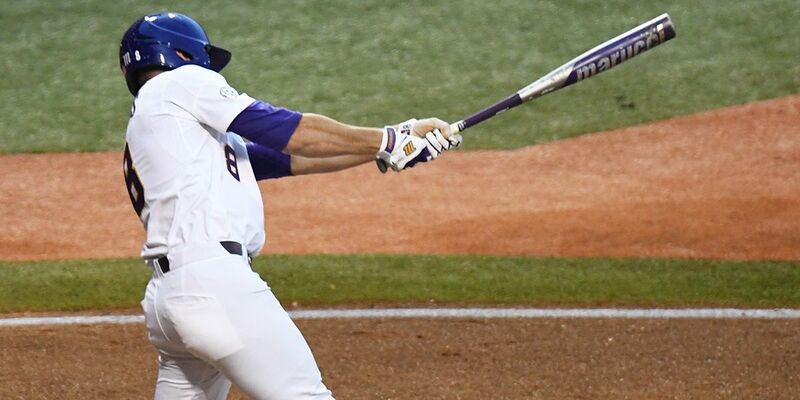 Watson blasted a two-run shot that put LSU up 10-6. Later, with two outs, Beloso hit a single to center field that plated Duplantis and made it 11-6. Missouri rallied in the fifth and sixth innings, scoring a total of five runs to tie the game at 11-11. After the seventh, eighth, and ninth were all scoreless, the game went into extra innings. In the top of the 10th, Josh Smith hit a single to center field. Then, Giovanni DiGiacomo, who replaced Watson after he suffered an injury late in the game, singled to right field and Smith made it to third. Next, Duplantis reached first base on a fielder’s choice and Smith slid safely across home plate to give LSU the 12-11 lead. In the bottom of the inning, Missouri failed to get anyone on base. The start time of Saturday’s LSU-Missouri baseball game has been moved to 3 p.m. due to the forecast of inclement weather. It was originally scheduled to begin at 5 p.m. Cole Henry will take the mound for LSU.